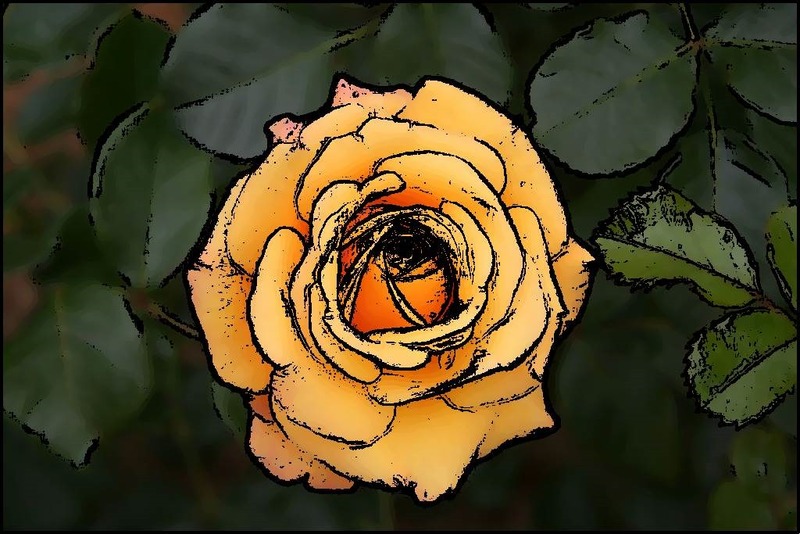 This article illustrates and provides a discussion and implementation of Image Oil Painting Filters and related Image Cartoon Filters. A sample application accompanies this article. The sample application creates a visual implementation of the concepts discussed throughout this article. Source/input images can be selected from the local file system and if desired filter result images can be saved to the local file system. Filter Size – The number of neighbouring pixels used in calculating each individual pixel value in regards to an Oil Painting Filter. Higher Filter sizes relate to a more intense Oil Painting Filter being applied. Lower Filter sizes relate to less intense Oil Painting Filters being applied. Intensity Levels – Represents the number of Intensity Levels implemented when applying an Oil Painting Filter. Higher values result in a broader range of colour intensities forming part of the result image. Lower values will reduce the range of colour intensities forming part of the result image. 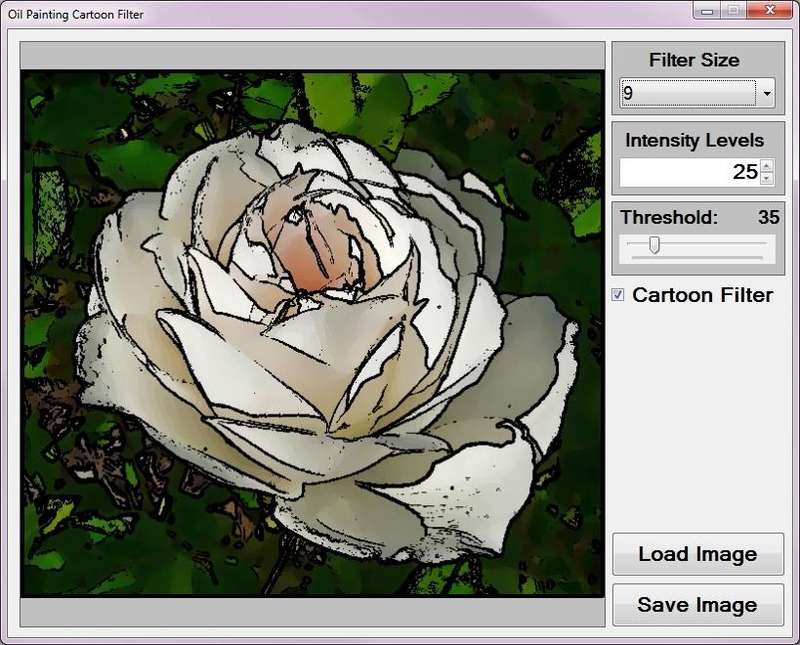 Cartoon Filter – A Boolean value indicating whether or not in addition to an Oil Painting Filter if a Cartoon Filter should also be applied. Threshold – Only applicable when applying a Cartoon Filter. This option represents the threshold value implemented in determining whether a pixel forms part of an Image Edge. Lower Values result in more image edges being highlighted. Higher values result in less image edges being highlighted. 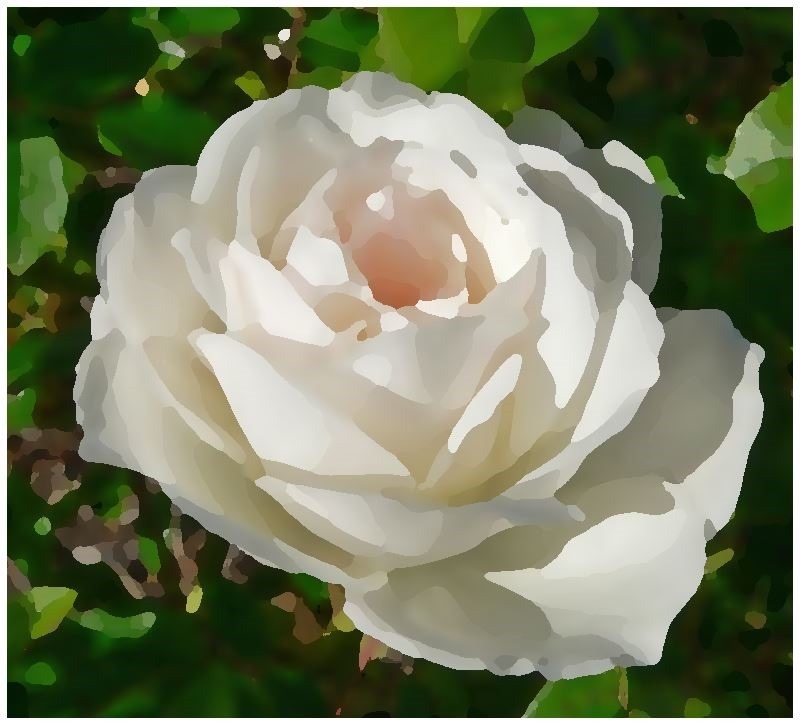 The Image Oil Painting Filter consists of two main components: colour gradients and pixel colour intensities. 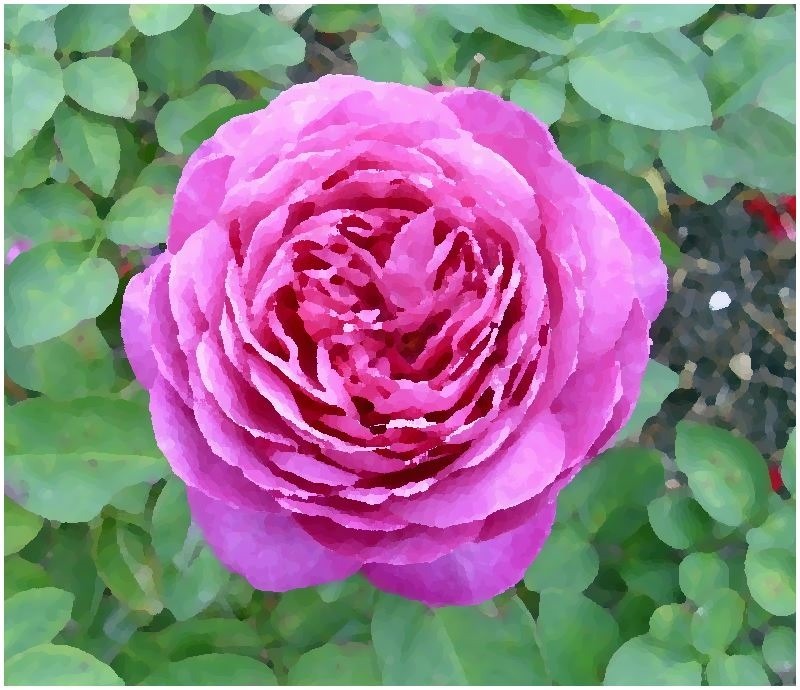 As implied by the title when implementing this image filter resulting images are similar in appearance to images of Oil Paintings. Result images express a lesser degree of image detail when compared to source/input images. This filter also tends to output images which appear to have smaller colour ranges. Iterate each pixel – Every pixel forming part of the source/input image should be iterated. When iterating a pixel determine the neighbouring pixel values based on the specified filter size/filter range. Calculate Colour Intensity - Determine the Colour Intensity of each pixel being iterated and that of the neighbouring pixels. The neighbouring pixels included should extend to a range determined by the Filter Size specified. The calculated value should be reduced in order to match a value ranging from zero to the number of Intensity Levels specified. Determine maximum neighbourhood colour intensity – When calculating the colour intensities of a pixel neighbourhood determine the maximum intensity value. In addition, record the occurrence of each intensity level and sum each of the Red, Green and Blue pixel colour component values equating to the same intensity level. 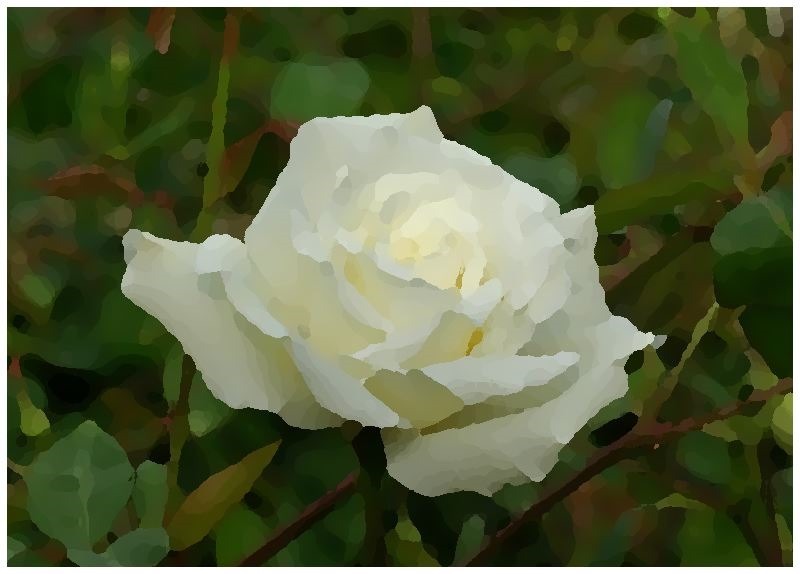 Assign the result pixel – The value assigned to the corresponding pixel in the resulting image equates to the pixel colour sum total, where those pixels expressed the same intensity level. The sum total should be averaged by dividing the colour sum total by the intensity level occurrence. I – Intensity: The calculated intensity value. R – Red: The value of a pixel’s Red colour component. G – Green: The value of a pixel’s Green colour component. B – Blue: The value of a pixel’s Blue colour component. l – Number of intensity levels: The maximum number of intensity levels specified. 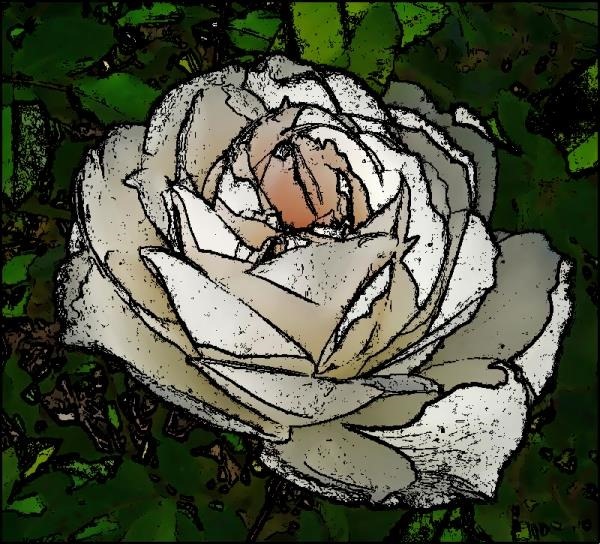 A Cartoon Filter effect can be achieved by combining an Image Oil Painting filter and an Edge Detection Filter. The Oil Painting filter has the effect of creating more gradual image colour gradients, in other words reducing image edge intensity. Apply Oil Painting filter – Applying an Oil Painting Filter creates the perception of result images having been painted by hand. Implement Edge Detection – Using the original source/input image create a new binary image detailing image edges. Overlay edges on Oil Painting image – Iterate each pixel forming part of the edge detected image. If the pixel being iterated forms part of an edge, the related pixel in the Oil Painting filtered image should be set to black. Because the edge detected image was created as a binary image, a pixel forms part of an edge should that pixel equate to white. Iterate each pixel – Each pixel forming part of a source/input image should be iterated. Determine Horizontal and Vertical Gradients – Calculate the colour value difference between the currently iterated pixel’s left and right neighbour pixel as well as the top and bottom neighbour pixel. If the gradient exceeds the specified threshold continue to step 8. Determine Horizontal Gradient – Calculate the colour value difference between the currently iterated pixel’s left and right neighbour pixel. If the gradient exceeds the specified threshold continue to step 8. Determine Vertical Gradient – Calculate the colour value difference between the currently iterated pixel’s top and bottom neighbour pixel. If the gradient exceeds the specified threshold continue to step 8. Determine Diagonal Gradients – Calculate the colour value difference between the currently iterated pixel’s North-Western and South-Eastern neighbour pixel as well as the North-Eastern and South-Western neighbour pixel. If the gradient exceeds the specified threshold continue to step 8. Determine NW-SE Gradient – Calculate the colour value difference between the currently iterated pixel’s North-Western and South-Eastern neighbour pixel. If the gradient exceeds the specified threshold continue to step 8. Determine NE-SW Gradient – Calculate the colour value difference between the currently iterated pixel’s North-Eastern and South-Western neighbour pixel. 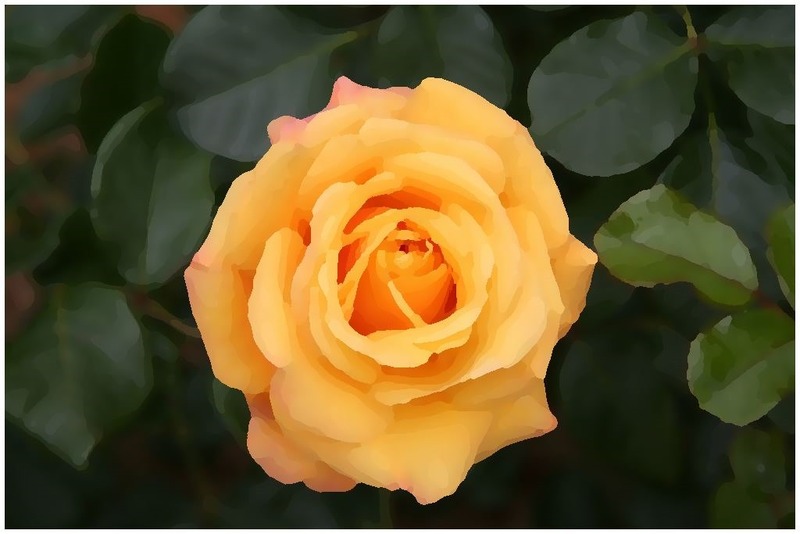 Determine and set result pixel value – If any of the six gradients calculated exceeded the specified threshold value set the related pixel in the resulting image to white, if not, set the related pixel to black. 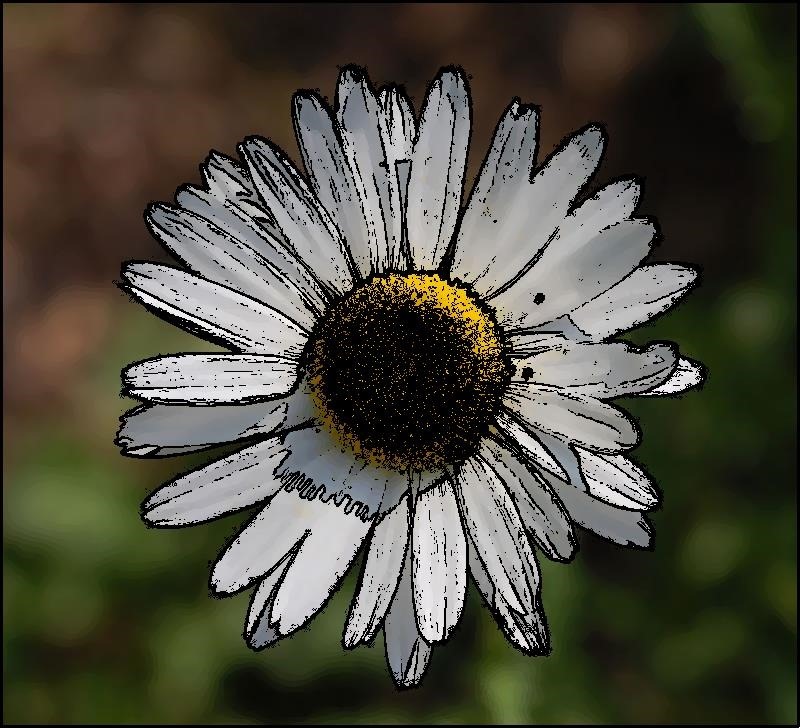 White Daisy – Licensed under the Creative Commons Attribution-Share Alike 3.0 Unported license. Download from Wikipedia. Amber Flush Rose – Licensed under the Creative Commons Attribution-Share Alike 3.0 Unported, 2.5 Generic, 2.0 Generic and 1.0 Generic license. Download from Wikipedia. 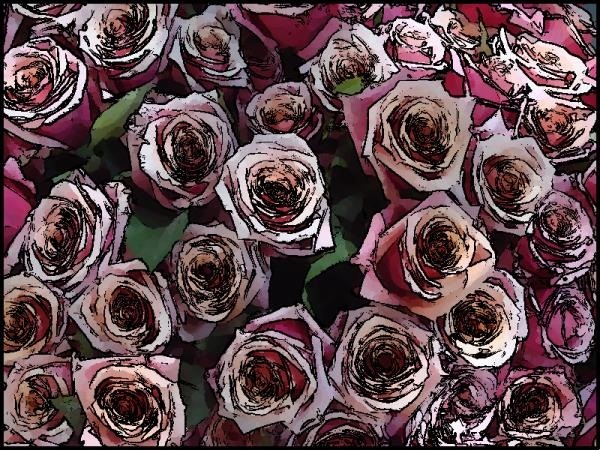 Rose Bouquet – Licensed under the Creative Commons Attribution-Share Alike 3.0 Unported, 2.5 Generic, 2.0 Generic and 1.0 Generic license. Download from Wikipedia. 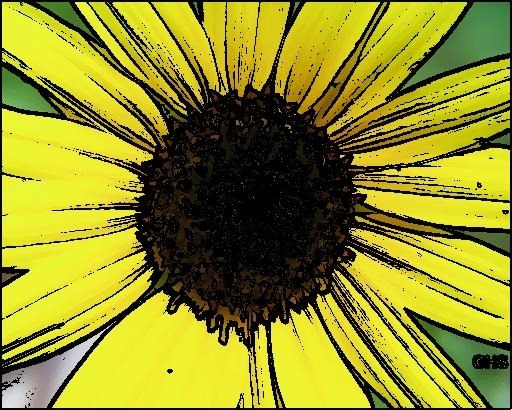 Sunflower – Is in the public domain in the United States because it is a work prepared by an officer or employee of the United States Government as part of that person’s official duties under the terms of Title 17, Chapter 1, Section 105 of the US Code. See Copyright. Download from Wikimedia. 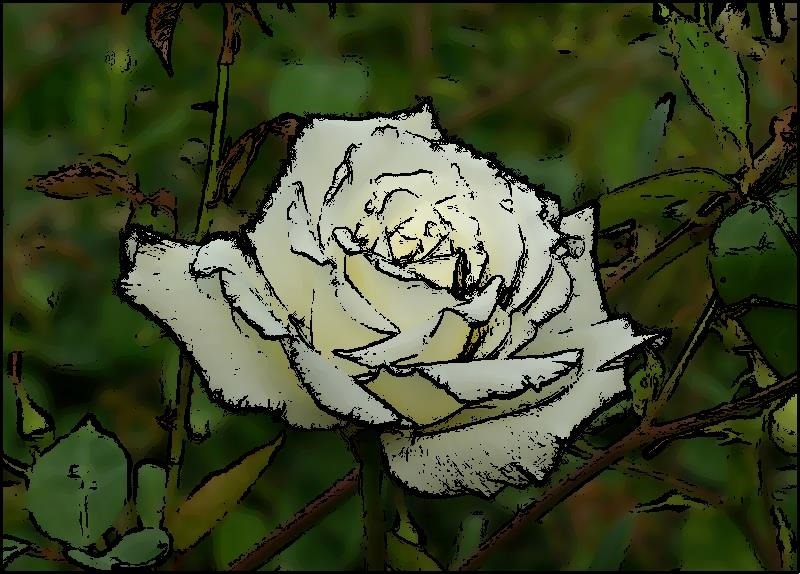 White Rose – Has been released into the public domain by its author, Laitche. This applies worldwide. Download from Wikimedia. thank you for your write~! !